Located along the Pacific coastline, Monterey County is dominated by tourism along its coast, and rich agricultural plains along the Salinas River Valley. It’s an area of strong contrasts, with most of the population living in the picturesque northern coastal towns or in the Salinas Valley, while the southern coast and inland mountains remain largely uninhabited. It is said that the Monterey County “doesn’t have weather, it has climate”. Moderate Mediterranean coastal climate means summers are sunny, warm and breezy with cool evenings. Winters bring moderate temperatures and periodic rainfall. From local music festivals, rodeo and biking events to world-class golf events at Pebble Beach, auto racing at Laguna Seca and the internationally renowned Concours d’Elegance and Big Sur International Marathon, Monterey County residents enjoy a lifestyle of beachside tranquility mixed with the opportunity to participate in some of the most sought-after events in the country. 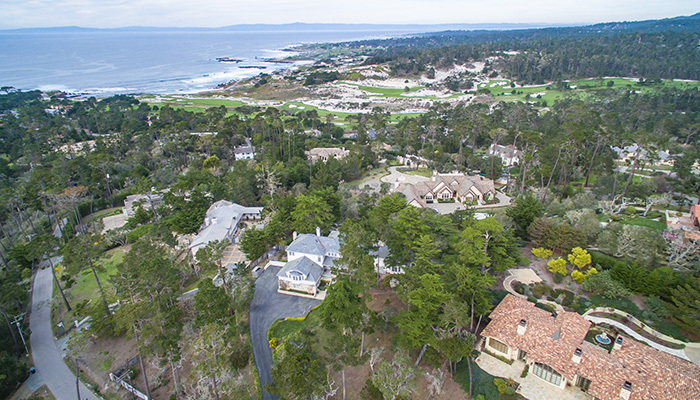 It’s a county where each town has its own unique style: from the charming and quaint Carmel, to Pacific Grove with its beautiful Victorian homes and vibrant Monterey with its famous seals and sea-lion population along its waterfront filled with boutique stores, restaurants and world-class hotels.